1 from august to january of 2015. Data of FAA, Federal Aviation Administration (USA). 2 june of 2017. Data of AESA, State Agency of Aviation Safety (ES). Source: Kleiner Perkins Caufield & Byers. 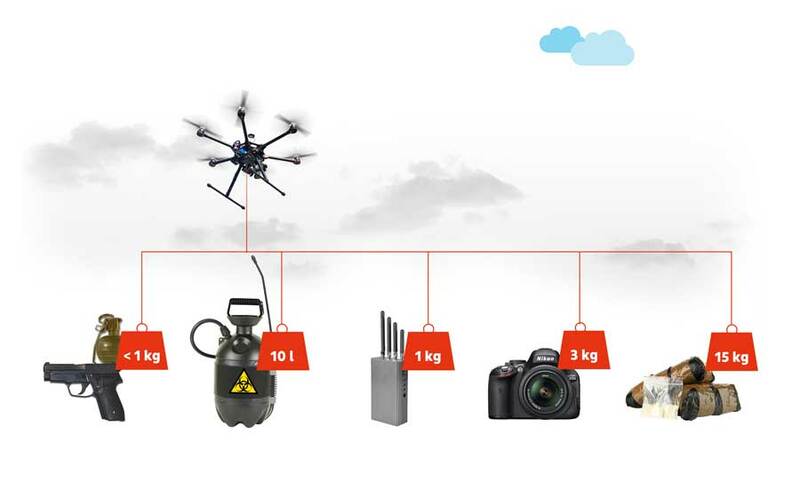 There is a high risk of drone action in: terrorist activities or attacks; release of explosives or spraying of chemicals; cause interference; perform intrusions or espionage; capture photos or videos in HD; smuggling of drugs or weapons; among many. 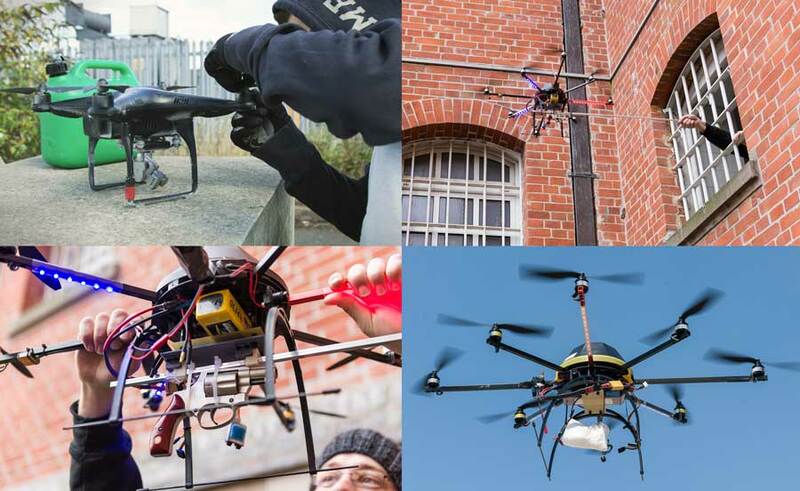 The operator can be several kilometers away from the area acting with the drone with ease. The crime is remote and the chances of being caught are small. Do not endanger your air safety. Each land protected area now requires an air equivalent. Non-intrusive drones neutralization systems, active and passive. An environment not suitable for a UAV (drone) that can cause a catastrophe.